CEAG lighting products transform public spaces, making them safer, more accessible and welcoming. We offer an unrivalled range of lighting solutions to illuminate public areas such as car parks, sports stadiums, squares and other pedestrian areas. Our lighting solutions for highways and transport bring light to the darkest tunnels, bridges, and underpasses, as well as essential lighting for bike paths, railway platforms, harbours, ports and airports. Inadequate lighting in public spaces and transport hubs can have a significant effect on access and operations, as well as creating security issues for people and property. This is why getting the right solution is vital. Our experts will work with you to make sure your lighting needs are met with the highest quality service and products. We offer a product range that includes traditional incandescent bulbs and the latest in LED technology. Find out more about the products and services we provide to public spaces and transport areas here. 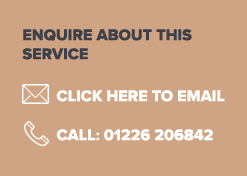 If you would like to talk to one of our lighting experts, please get in touch, either by emailing public@ceag.co.uk, or via our contact form, which can be accessed using the button below. CEAG has a long history of working with some of the biggest names, including Network Rail, Venice-Simplon Orient Express and Boeing.